Open Live Writer is like Word for your blog. 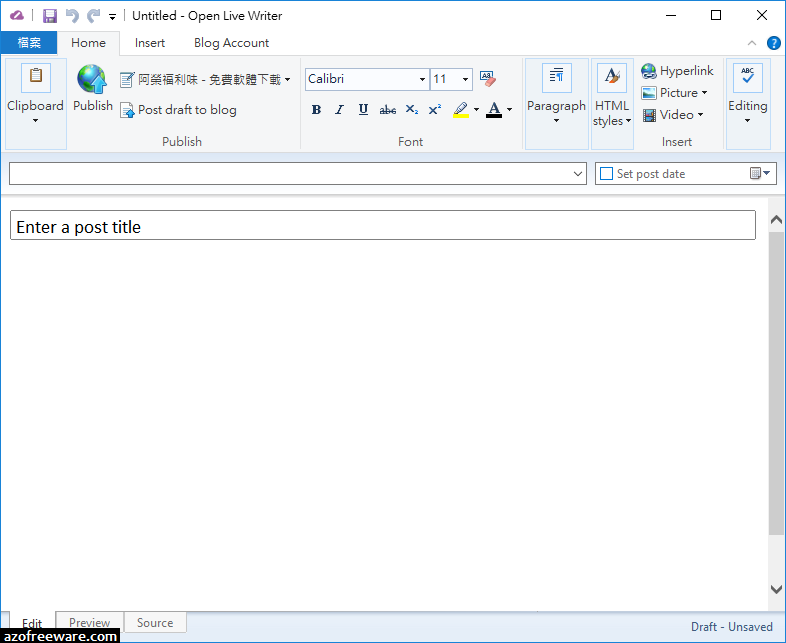 Open Live Writer is a powerful, lightweight blog editor that allows you to create blog posts, add photos and videos then publish to your website. You can also compose blogs posts offline and then publish on your return. Open Live Writer works with many popular blog service providers such as WordPress, Blogger, TypePad, Moveable Type, DasBlog and many more. 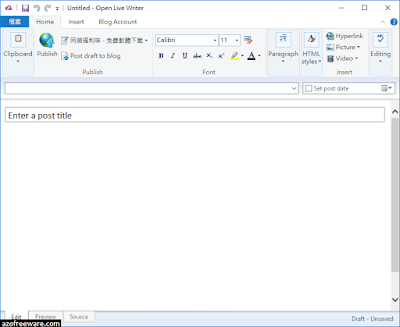 Open Live Writer is an open source application enabling users to author, edit, and publish blog posts. It is based on a fork of the well-loved but not actively developed Windows Live Writer code. Open Live Writer is provided under a MIT license.